Dr. Aronow completed her undergraduate studies at Brown University, where she graduated with honors with a bachelor’s degree in biology. She was awarded her medical degree from New York University School of Medicine and did her internship and residency training at Jacobi Medical Center at Albert Einstein College of Medicine, where she also served as chief resident. She is a board-certified pediatrician and a Fellow of the American Academy of Pediatrics. She is proficient in Spanish. She joined WESTMED Medical Group in July 2013 and is affiliated with Greenwich Hospital. 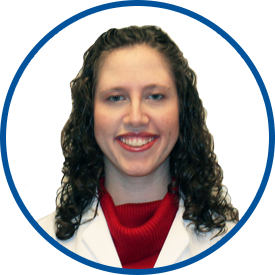 A native of Westchester County, Dr. Aronow enjoys practicing and living locally with her husband and children. Dr. Aronow is an excellent person who cares about her patient. We love to go to the appointments with Dr. Aronow! She is clean and takes time to help understand my sons health. *Dr. Aronow is one of the best physicians I've ever met. Very thoughtful & caring & knowledgeable. I would definitely recommend they doctor to family and friends. dr. Aronow has been amazing and takes the extra time with my children. she goes above and beyond. We switched providers and have seen Dr. Aranow twice. She is wonderful. Our son was a patient - glad we made the switch. Our son is much happier seeing Dr. Aranow. Dr. Aronow is amazing. Exactly the kind of caring, insightful, and funny person needed as a pediatrician. We have been so happy with this practice since switching last year!